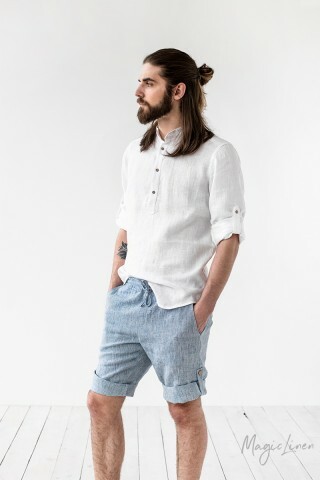 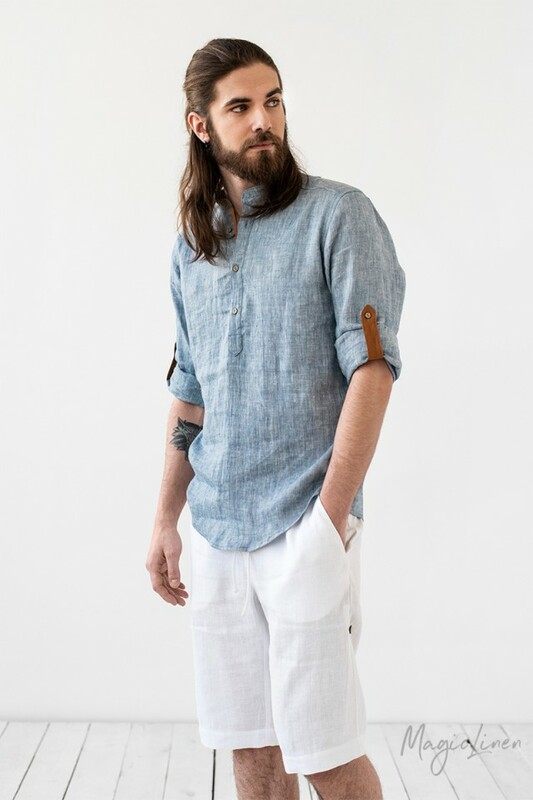 Blue melange men's linen shirt with contrasting details. 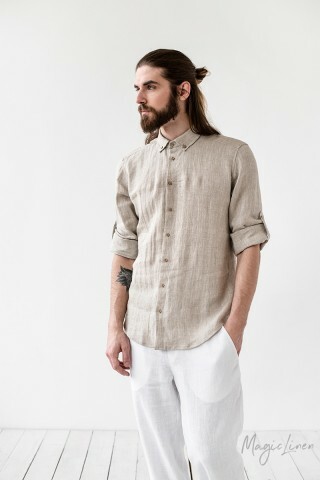 Featuring a band collar and roll-up sleeves, this linen shirt is a versatile wardrobe staple. 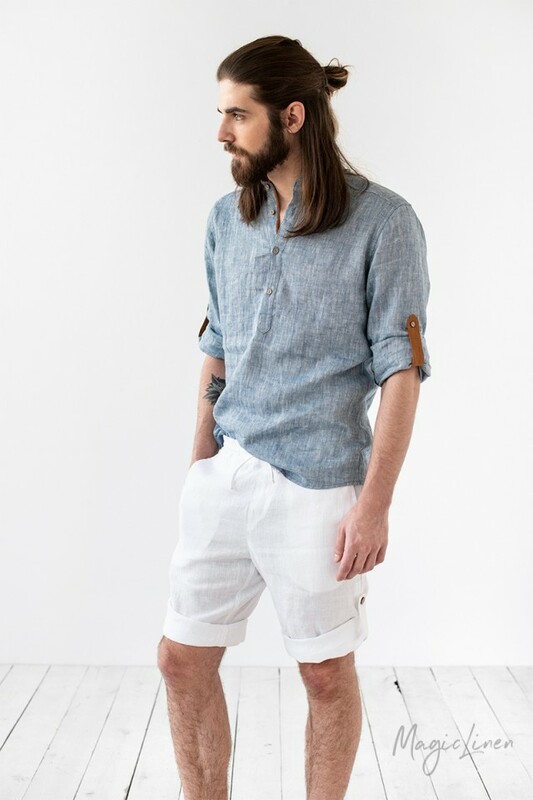 Fitted with cinnamon brown details it has a fresh, distinct summer look. 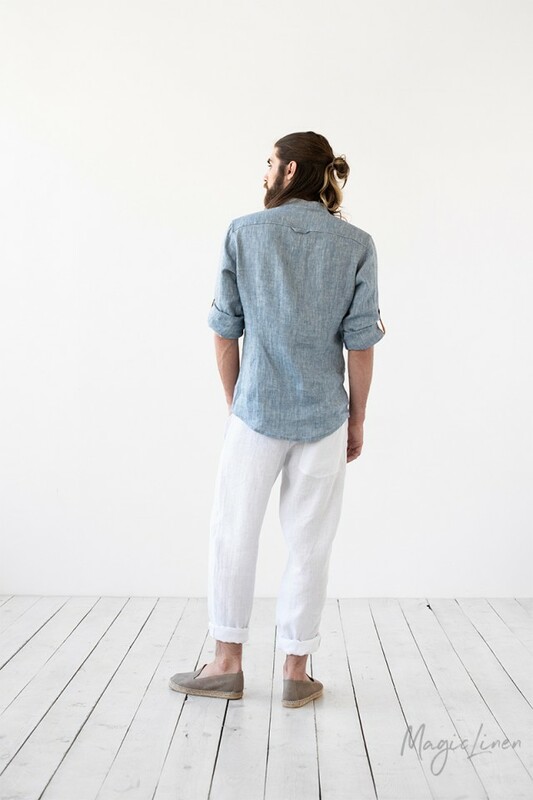 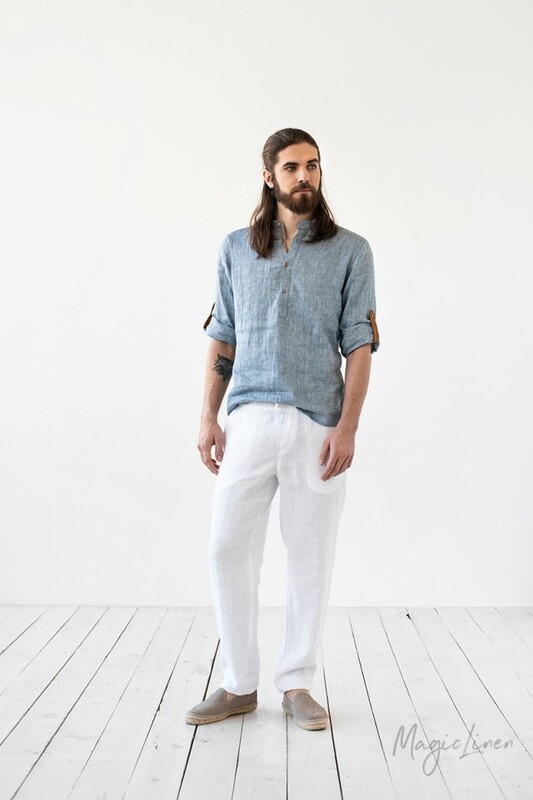 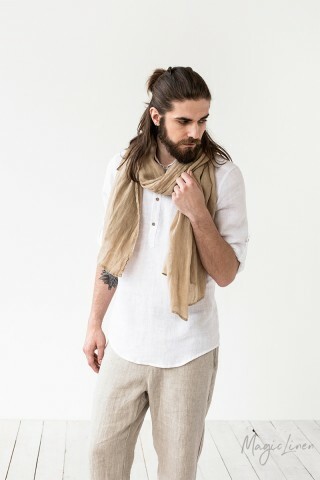 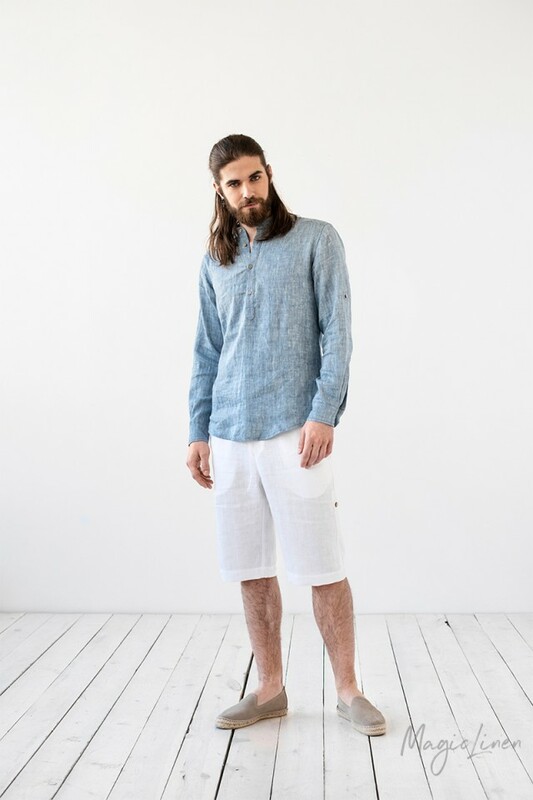 Lightweight and breathable, linen garments belong in every man's closet.